Just like the hair on the head, you need to brush your facial hair to style it correctly, frame the face properly, and help it lay flat. Whether you desire enough facial hair to warm your face or want to have an award-winning beard, you must keep it in line to prevent it from becoming unruly and matted by purchasing the best beard brush. Choosing the best beard brush from the numerous available ones can be tricky. Fortunately, this primer narrows down on the best beard brush to help you make an informed decision. Smooth Viking, as a company, always produces quality beard care products. Their products are highly competitive in terms of price. The same is true when it comes to their brush. Featuring an oval shape, the smooth Viking beard brush is made from wood with boar hair. This handful brush boasts such a nice grip. While some people complain that the brush feels small, the truth is that the brush is just the right size. Actually, it might be larger than your preference. Its size is ideal for almost all beard sizes. It brings with it an appropriate number of bristles to brush beards of any length perfectly. The real look presents a different reality of the bristles compared to the picture. Fortunately, the real product is much awesome in real life. The brush has bristles, which are tied moderately close to each other. In comparison to other brushes, the bristles are on the softer side. Because of the soft bristles, you might feel as though you’re stroking your beard instead of actually brushing it. As much as this brush as an excellent backbone, its bristles don’t seem to penetrate your beard greatly as others do. It’s the best choice for those with a short beard that doesn’t need any detangling. The brush is also perfect for those that aren’t into bristles with a stiff backbone. When it comes to offering value for money, the brush certainly does so. The brush isn’t the best for those who have had a beard for more than 8 months. In terms of detangling and cleaning, the brush doesn’t perform well. It might be too small for some people. Liberty Groomin﻿﻿g is one of the most popular brands that are dedicated to beards. The Liberty grooming Co beard brush is the longest brush of all the ones featured here. In fact, it’s so long that many people consider it a hairbrush rather than a beard brush. The brush features a wooden brush that has a natural boar hair. For sure, it’s not only man looking but a beautiful brush too. Because its handle is long, handling the brush is comfortable. Its impressive size makes it effortless to use. You stand to enjoy excellent balance and grip. Compared to the other brushes reviewed here, the boar bristles are relatively different. As much as they have medium stiffness, the bristles are softer on their tips. This means that the bristles can effortlessly penetrate your beard while being gentle to the face. If your beard is longer, this might not be the best brush to settle for. This beard brush is undoubtedly one of the best ones out there. Unquestionably, Canyouhandlebar stands out as one of the premium beard care brands out there. In addition to their incredible beard brushes, you can also use their balms, beard oils, and secondary moustache wax. None of these products will surely disappoint you. A handy round tin houses the round beard brush. The tin is magical for storing the beard brush in your bathroom because you must always keep it dry. As already established, wooden brushes aren’t good reactors with humidity. In this brush, you’re dealing with a portable wooden beard brush. With or without the tin, carrying this brush is effortless; it fits amazingly in the pocket of your jacket. Holding the brush feels comfortable and light while at the same time maintaining a good balance. Actually, you’ll not have any trouble holding it properly. That’s the case because of its round shape. While it might seem straightforward, you must consider some factors when in the market for the best brush for your beard. Most beard brushes are made out of plastic, wood, or bamboo. Others, in rare instances, are made of ox horn. Although plastic brings with it an array of advantages, the best ones are made of wood. They are durable, boast of quality and offer value for money. Based on the specific type of wood, the price of a brush can be different substantially. Plastic, on the other hand, is not only water resistant but also durable. Bamboo and wood aren’t good reactors with water. Consequently, you need to dry clean them instead of running them under water. Synthetic – Synthetic beard brushes not only brush your hair efficiently, but they also spread the products you apply evenly. Their major advantage is the fact that they’re vegan-friendly. Natural – These ones are made from either horsehair or wild boar. They’re great with hair conditioning. These brushes also bring with them a stiff backbone. How you intend to use your brush informs the size you should settle for. You can settle either for a travel or normal size. While travel size beard brushes bring with them fewer bristles, they’re not only easy to carry and store, but also cheaper compared to the normal ones. A good number of brushes come in rectangular and oval shape, without or with a handle. Brushes with handles offer better control. They also feel comfortable to handle. Carrying them might be tricky. From time to time, you might experience some really cool offers. However, generally, with beard brushes, there’s a performance and quality reason why some brushes cost more compared to others. Learning how to use your beard brush is very important. It helps you get the most out of your brush. 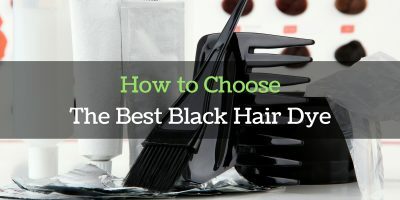 Decide on how you intend to use it – You should choose a brush depending on your grooming schedule, habits and routine. Always use your brush on dry beard – Whether your beard is clean or not is the important thing. The essential thing is to use the brush strictly on a dry beard. Use it to condition your beard – The best time to apply beard balm or oil is when it is dry and clean. Only use your brush after applying wax - In addition to distributing beard balms and oil across your beard, you can use it for purposes of shaping. 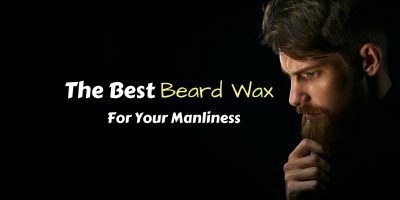 Beard wax offers a strong hold based on the type of wax. A good number of men with beard might not be fond of this because it might end up with some unnatural looks and stiff feeling. Always clean your brush – While this might refer to the after use compared to how you use your brush, it’s very important in terms of making sure your brush remains in a decent state at all times. Beards have certainly been with us since the commencement of humankind. While that may be the case, beard brushes might be relatively new to most men with beards. In fact, many men question the need to purchase one. In our humble opinion, buying the best beard comb makes perfect sense! The best is, regardless of your choice, you can never go wrong with any of the above brushes. There’s no doubt about that. Beard combs? Yes, they’re the real thing! They’re necessary for your beard. You can select from an array of shapes, sizes, kinds, and even prices. Some users prefer plastic combs while others are into wooden combs. It’s all about exactly what you desire from your beard comb. Before looking at the three best beard combs, let’s first look at the stark differences between a beard comb and brush. Primarily, their designs are different. High quality beard brushes constitute boars hair. Boars hair can soak up oils thus allowing you to spread oil evenly on your beard follicle. Beard brushes have bristles that are uneven length, which allows them to get deep to the root of the hair. When you use a beard brush, your beard looks fuller, that is, puffy and natural. On the other hand, with a beard comb, you’ll have the best in terms of styling abilities. That’s something you can’t get with a beard brush. A beard comb offers you full control on your beard. For absolute control over the beard, it’s best to pair a beard balm with a beard comb. Beard balms contain beeswax. Beeswax boasts a holding ability. What’s more is that it’s all natural meaning it doesn’t contain abrasive chemicals. Indeed, good things do come in small packages. That’s true even with the Kent 81T beard comb. Just like with the Baxter of California beard comb, this comb is also made from cellulose acetate. Manufacturers of the comb ensured the comb is hand-buffed to get rid of any prospective rough edges on the teeth. The comb is undoubtedly a highly versatile comb. The comb is fitted smartly on its edge with an in-built bottle opener thus making it more than just a beard comb. It’s crafted from a stainless steel base that guarantees to perform amazingly well. It features incredibly spaced teeth, which have been remarkably polished down. When using the comb, you shouldn’t expect any snags. Its metal design doesn’t break or chip like plastic or wooden combs. The amazing folks at Leven Rose offer you plenty of reasons to prefer their wooden comb to the others. A great attribute about this comb has to do with its versatility. The comb is made from 100% bamboo. Its wide teeth make it excellent for coarse beard hair grooming. The comb is fine enough to drastically reduce frizzies and static. Beard Combs – Which are your Options? When searching for an effective beard comb, you’ll have to grapple with an array of choices. Settling for the best comb narrows down to thickness, length, and style of your beard. Stainless-steel beard combs look great. However, they can be tougher on the skin. Oozing masculinity, stylish and rustic, landing the best wooden beard comb offers you a gentler grooming experience compared to its metal counterparts. Wooden beard combs are ideal for those with sensitive skin. Why spend $10 on a product that will last three months when you can purchase a comb that’ll last years for $20? Plastic teeth on beard combs eventually damage your skin over time. Considering the fact that you have purchased a beard comb to keep your skin and beard healthy, there aren’t many benefits you can derive from plastic. Consequently, if you want the best comb among the three above, the best one to settle for is a wooden comb. In any case, you should pick strictly the one that meets all your needs. Don’t settle for a beard comb because it’s cheap or expensive; choose one that addresses your current situation.